I lived the better part of my life looking like Napoleon Dynamite. I had glasses with frames that drooped to the middle of my cheeks. The lenses magnified my eyes to twice their size. I was blessed to not be a mouth-breather like Napoleon, but everything else was pretty spot on. So, why should you take brand and blogging advice from me? Because if I can do it, anyone can. And because I'm weird and that might entertain you. How do you increase your audience/followers? Consistency is key. Showing up (in their feed) is half the battle. Figure out a posting schedule and stick to it. Choose a time of day to post daily on Instagram and decide how many days a week you want to post to your blog. When I started writing 4-5 blog posts per week, I started getting more interaction from brands and other bloggers. Your engagement will vary - platforms change (looking at you, Instagram algorithms), likes might fade, followers get bored. Don't get discouraged. Take each crummy experience you have and use it as research. Are your photos not getting likes when you post at 11 pm? Great. Now you know when not to post. Move on. Interact with other bloggers/business owners/people in general. If you visit a blog daily, comment on the posts you read and sign every post with your website URL. You will be surprised how many writers will comment back on your site and/or how many readers will see your comment and go find your blog. This is huge and I cannot stress it enough. Plus, you make friends. List your email in your bio(s). Make sure your email is easy for other brands and bloggers to find. Everyone complains about answering emails, but let's be honest, more emails mean more work and more work means someone is seeing what your brand is doing. Get featured. This stems from brands/bloggers finding you and from you reaching out to them. Love JCrew? Wonderful. Wear JCrew pieces in photos and tag them. Several times. Find popular accounts that repost blogger content. Reach out to them, comment on their photos, tag them. Message other small businesses and make connections. Ask to work with them. The worst anyone can say is 'no,' so why not try? No one knows what you're doing until you show them. Tell everyone (in person). This feels weird and I don't care. It has to come up (sort of) organically in conversation, but I almost always mention Qustom Quinns when I meet someone. I have gotten so many orders from clients that I've met at a restaurant, in an airport, on social media, and through friends of friends of family of friends. I have business cards with my brand name, email, website, and Instagram information that I hand out if someone seems interested. There is a fine line between being pushy and being helpful, but know that people are naturally curious and that they probably want to stalk your site/Instagram/Google you. Put a photo on the back of your business card - people are visual. Pinterest. Speaking of visual...If you're looking to push people to your site, be active on Pinterest. It took me a while to get into, but I'm so glad I took the plunge. In your blog posts, overlay text on your photos to make them 'pin-able.' If you're looking for an example, see the photos above. My most pinned photos/posts are often 'how to' articles. Eggscellent question. 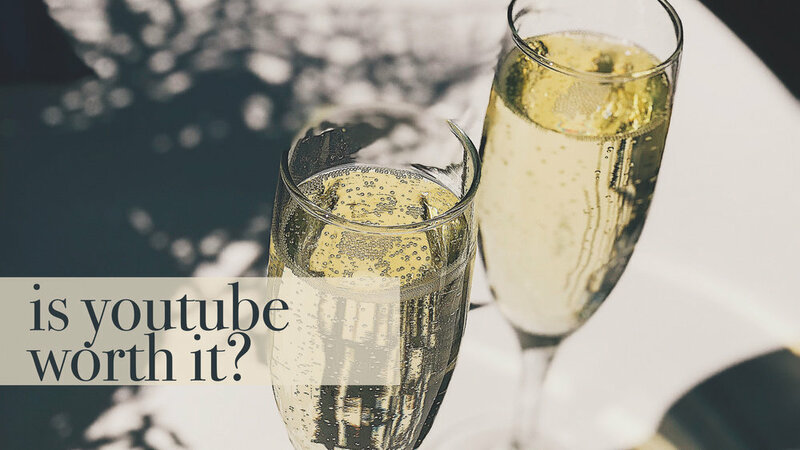 If you do it well, YouTube can really increase your reach. If we're being honest, I haven't dedicated enough time to 1. filming, 2. editing, 3. figuring out a strategy for when to post, how to promote videos, etc. I do video during my 9 to 5 job, so it's hard to come home from work to...do more work. Not a great excuse and not an incredibly helpful answer, but that's the real real for you. I so badly want to expand more into video - I wish there were more hours in the day! 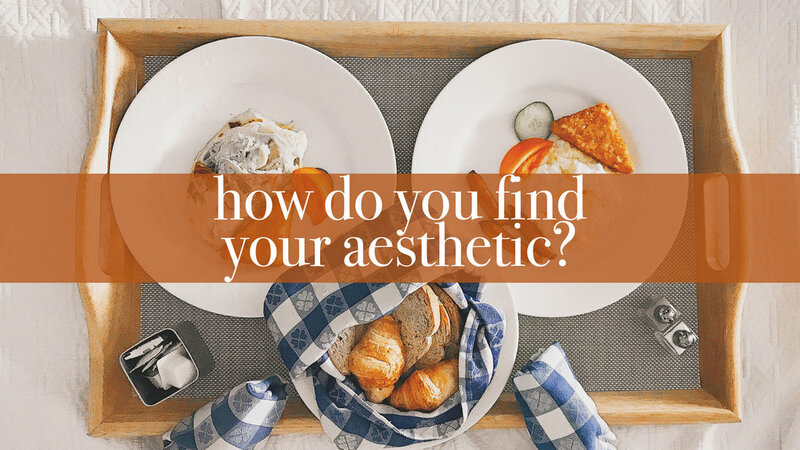 How do you find 'your aesthetic'? It's trial and error. And error. And error. And then try again. It's tough to find a balance between what you want for your brand and what appeals to your audience as well. I look at a lot of Instagram accounts that I love and really analyze why I love them. Is it the bubbly captions? Is it the cute shoes? Is it the same colors in every photo? From there I try to apply it to my own feed and see what works. I love photo editing and writing, so it's fun to try different techniques. Do not compare yourself to others. This is a slippery slope I have seen with so many talented people and it has ruined them. Be you and do you. Because your audience visits your content for you. I love the advice 'never be the smartest person in the room.' Be open to learning and take criticism with grace and class. Maybe what you're doing isn't working. That's okay! As I like to tell everyone, at least I'm doing it - what are you doing, again?